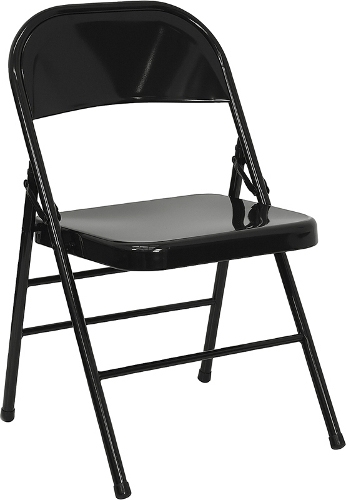 This folding chair can hold up to 500 lbs! It features an all black frame, curved back, and folds while not in use. Applications include anything from outdoor events, to home.